When I was fourteen years old growing up in Rolla, Missouri, my orthodontist, Dr. Royce G Thomas, offered me what had to be one of the best jobs any fourteen year-old ever had: working in his lab, making plaster models of his patients, developing x-rays, and making retainers. For the next four years I worked with a great team of people and learned a lot about running a small business. It was an amazing opportunity that provided many valuable lessons that have stayed with me for a lifetime. 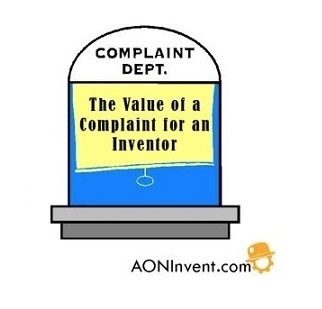 Now, more than forty years later, I can think of no better advice than to suggest we all train ourselves to listen earnestly for complaints – wonderful, loud, repetitive screeches of frustration that can be channeled into innovative products that improve the quality of life for all of us. The next time you see someone getting frustrated about how something does or doesn’t work, STOP for a moment, and try to imagine a solution. If your idea involves a new consumer product, the life you change the most may be your own.